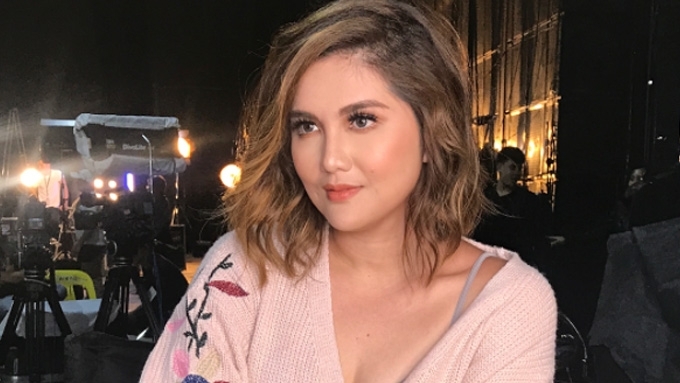 Dimples Romana says being a mom to two kids is \"nakakaloka\"
Dimples Romana says being a mom to more than one child is "nakakaloka"
Dimples Romana acknowledges that her role as "Amanda" in the 2016 ABS-CBN daytime series The Greatest Love helped her have a "much richer" relationship with her own mother. That was how Dimples Romana described being a mother to two kids—Callie, 13, and Alonzo, 2. PEP.ph (Philippine Entertainment Portal) surprised the 32-year-old actress with the PEP Editors' Choice for Teleserye Supporting Actress of the Year award last Monday, September 25, at Studio 10 in the ABS-CBN compound. The Star Magic artist continued, “It’s so hard to have two children! “Right now, I’m super adjusting… nahihirapan ako having two children, especially that one is a teenager and then the other one is a toddler. “Both difficult stages, but equally fun. But even with such motherhood challenges, Dimples still manages to have fun as a parent. She advised fellow working moms, “Just enjoy all the craziness and all the dynamics of being a mom. My rosy cheeked bunso and hazel eyed Ate ?? #AlonzoRomeoJose @callieahmee ?? I love you both oh so much! ?? DEEPER CONNECTION. Dimples became emotional when PEP gave her the award. “I’m so happy! You don’t know how happy I am!” she told PEP. The Kapamilya actress won the award for her performance as Amanda, the firstborn of Sylvia Sanchez’s character Gloria in the 2016 ABS-CBN daytime series The Greatest Love. On Instagram, Dimples looked back on the day she accepted the role and how it helped her grow as an actress. “When I accepted the role of ‘Amanda,’ I was terrified and excited at the same time. “It was a huge challenge and entailed tons of work and focus. At the same time, the role gave Dimples a different perspective when it comes to parent-child relationships. “I represented the children like Amanda,” she said. In our exclusive chat with Dimples, she underlined how much the daytime series personally affected her and her relationship with her family. “You know, for anything, it really made my relationship with my mom even richer. “I was more connected to my family, especially sa aking mama. “Kaya habang kailangan pa nila tayo, let’s enjoy, have fun, and you know, grow with them as a woman!” Dimples related.